In the broad landscape of the MCU, the Ant-Man series truly stands out from Marvel Studios’ other films. Part of this is due to charming performances of Paul Rudd, Evangeline Lily, and Michael Pena. Even the films’ use of CGI is unique because the varying effects of Pym Particles can be both captivating and hilarious. No one understands this better than Danielle Costa, Marvel Studio’s vice president of visual effects. 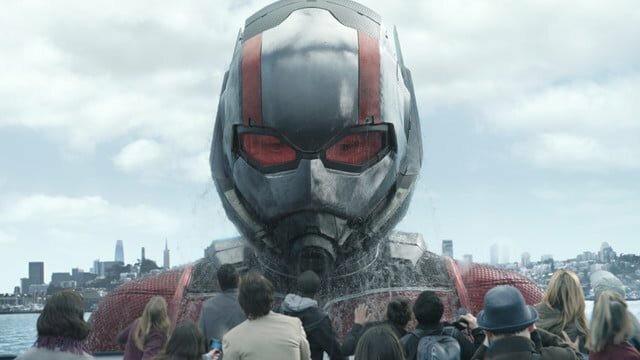 This week, WIRED uploaded a video interview with Costa to discuss the digital wizardry involved in bringing Ant-Man and the Wasp to life. The 10-minute clip shows before-and-after contrasts of various effects-heavy sequences in the film. Obviously, a number of scenes require fully-CG renderings of the title characters. However, Costa was quick to point out the amount of detail that goes into each design. A perfect example of this is the restaurant kitchen fight, where Lily’s Hope Van Dyne makes her first appearance as the Wasp. It’s almost a requirement at this point for Marvel films to open with a prologue scene. And in both Ant-Man movies, flashbacks have allowed the VFX team to demonstrate their mettle by convincingly de-aging the films’ stars. Costa used the opportunity to walk us through the process, which entails dotting an actor’s face in order to track their expressions. With this, they can “re-sculpt and reshape” the faces. As a result, they were able to convincingly shave off anywhere between 20 and 40 years from Michael Douglas’ face. Other scenes discussed include Giant-Man’s trek through the shallows of the Pacific Ocean as well as the high-octane car chase. Costa’s commentary can be a little esoteric at times, but her team’s efforts are undeniably impressive. Ant-Man and the Wasp is available now on Blu-ray and DVD. You can check out the video for yourself below and let us know what you think in the comment section!